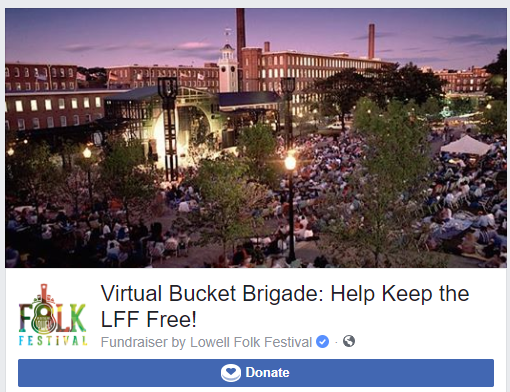 Help support the Festival and bring home a souvenir of the 32nd annual Lowell Folk Festival. Merchandise sales help make the Festival sustainable and support one of the country’s largest free folk festivals, ensuring that it will continue into the future. July 27-29, our 2018 Merchandise is available at 4 locations: Boarding House Park, JFK Plaza, Dutton Street Dance Pavilion, and St. Anne’s Stage. After the Festival, we will post what is still available. Special thanks to Georgette Rogers from Visionaries Events for the logo design!